Phew – the shortest day of the year is over (for us in the Northern hemisphere anyway) and the days will start to get longer now. 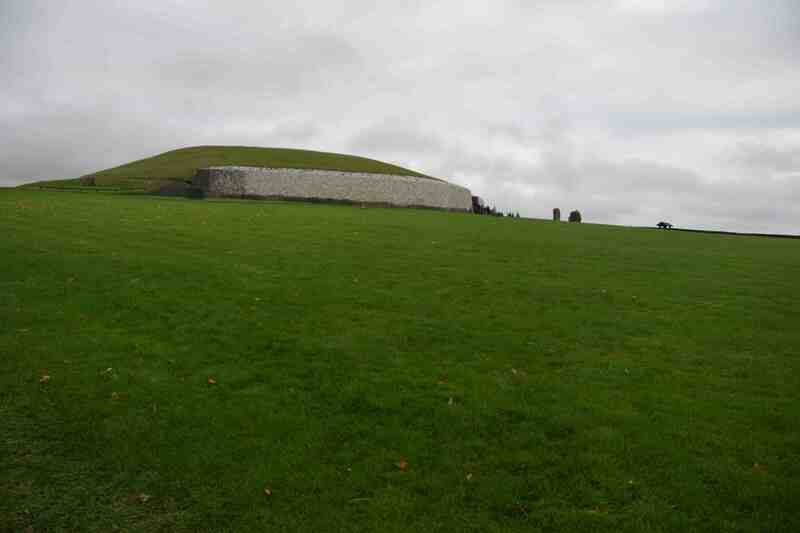 The date is special for one of the ancient places of Ireland too, a place that I visited last month: Newgrange. This is one of the most visited monuments in the country and is a relic that is older than the great pyramids. The place is shrouded in mystery but it was probably built by Neolithic or New Stone Age people who moved to the area in about 4000BC. 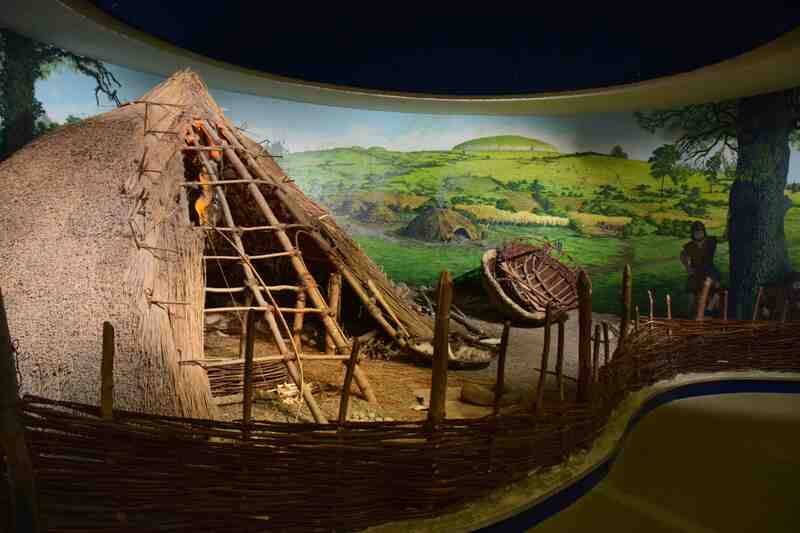 They settled in the fertile Boyne Valley which is famous for a lot of reasons. Curiously, for a site that now receives so much attention, the mounded structure was largely forgotten for centuries until it was rediscovered in 1699 when Charles Campbell, the then owner of the land, exposed some stones here while looking for building materials. 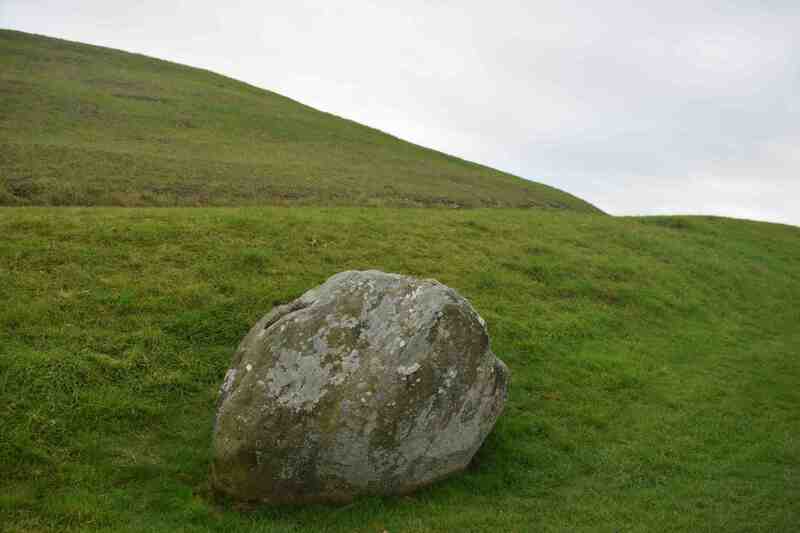 These were stones that were originally used to face the eastern side of the mound – the most important. 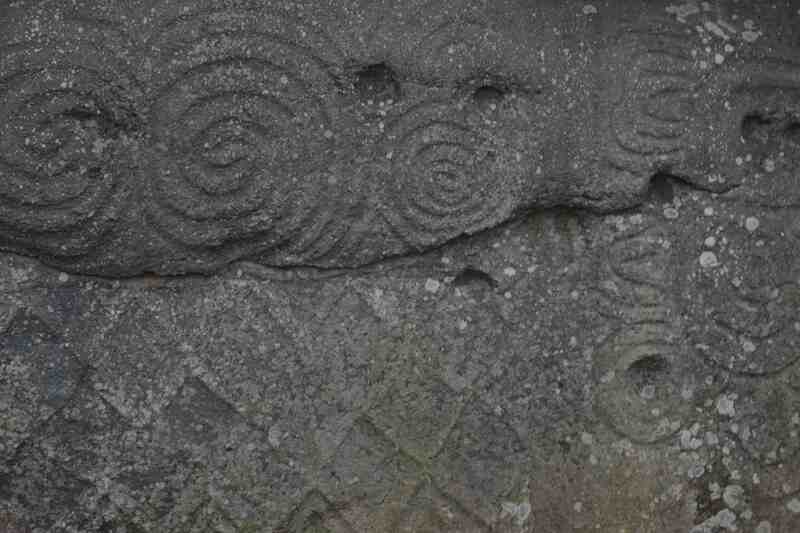 In the years after that it received a little attention and was visited by Sir William Wilde (father of Oscar) in 1837 when it was in a poor state but some of the curious carvings on the stones, the exact meaning of which are still not known, were seen. A century later it was still neglected and the surface of the mound was covered in trees and cattle grazed over it. But the State bought the site in 1961 and restoration began, and was completed in 1975. This was not without controversy because the east face was reconstructed with a concave front that allowed easier access for visitors and is almost certainly not as it was originally. Nowadays there is a constant procession of visitors eager to enter the ‘tomb’. 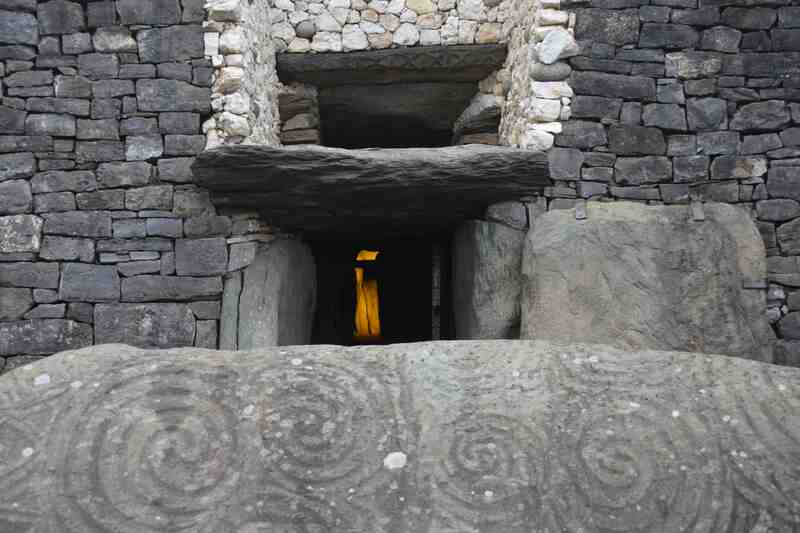 What makes the place significant, even though the exact nature of the structure is unknown, is that the entrance is aligned so that the interior is filled with light from the rising sun exactly on the winter solstice, December 21st. To say that this is a remarkable feat of engineering is an understatement. 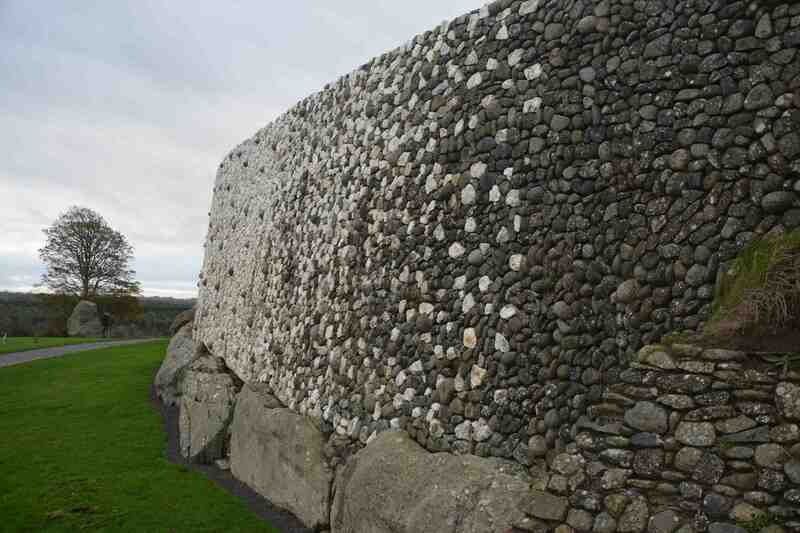 It is thought that the structure was built around 3200BC. Visiting the monument is easy, though a bit longwinded. Not far from Dublin, it is easy to find the visitor centre but there is a walk from the car park to the centre (a warning to the less mobile). 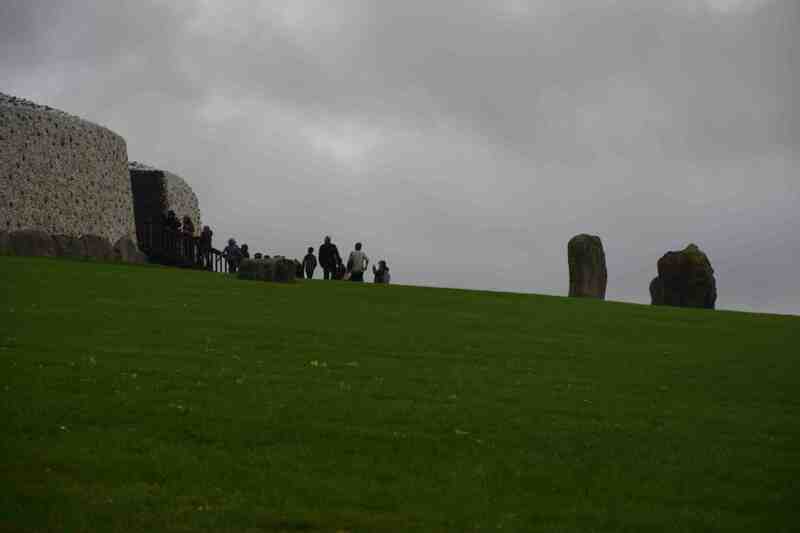 Newgrange itself is still some way off and after looking at the exhibits, buying a souvenir and having a coffee, you then have a walk over the River Boyne to catch a bus. This, oddly, drives along roads (I say oddly only because the site is obviously accessible by public roads if you know how, not because it is odd that a bus goes on roads) till you get to the monument. Everything is very organised and our group was then split into two because only about 20 people can enter the ‘tomb’ at one time. We were warned that it is not for the claustrophobic and I have to say that if you have eaten too many pies you won’t be able to get in – the rocks in the entrance are very close. In what seems to be a recurring comment I have to say that it was smaller than I expected but that does not detract from the experience of being in such an ancient structure. It was especially amazing to stand under the huge stones that held up the roof below tonnes of soil as Neolithic people did thousands of years ago. As part of the visit, the lights are put out when you are inside and then an artificial light is shone through the entrance to replicate the effect on December 21. Unfortunately, this year the morning was rainy so my artificial effect was better than the real thing. It is something of a miracle that anything has remained of this and that you can see the freeform carvings in rocks that have been here for millennia. Even the outside of the structure is dramatic. All I would say is that, to get the most out of your visit, do some serious homework before you go; there is simply so much information to take in here, especially as the visitor centre also covers other local monuments and there are buses to take you to these too. I imagine that this place is very busy ‘in season’ and even when I went I had to book my tour and wait an hour for my bus. You can book online too. 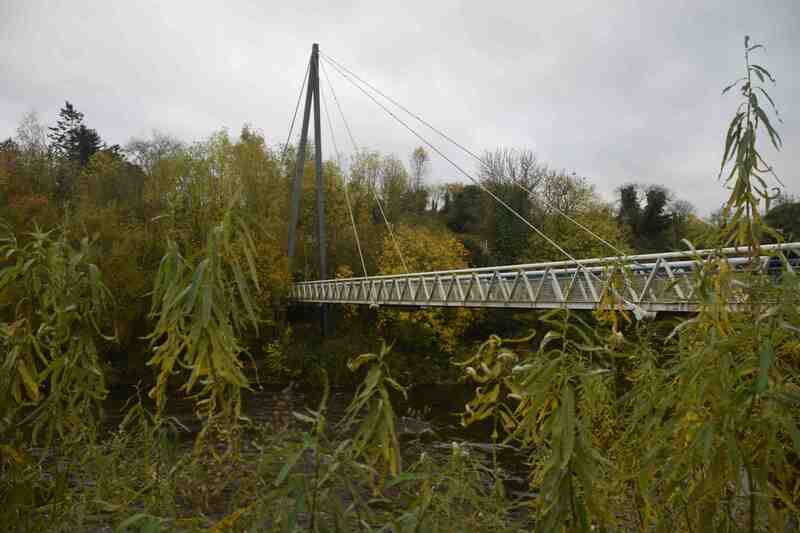 The Bridge across the Boyne. As a visit, this is not for everyone but it is a remarkable place. 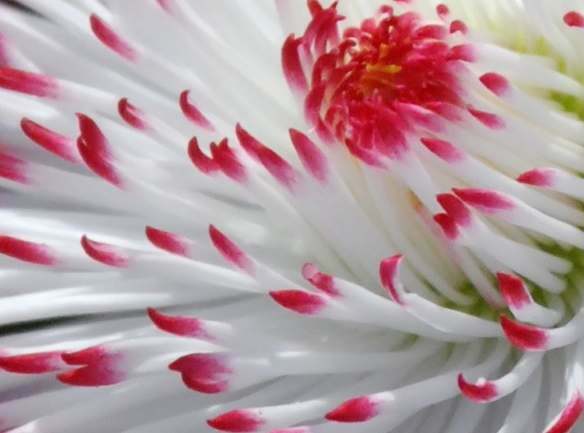 My apologies for the delay in the answer to this but well done everyone who knew this was a daisy and congratulations to those who even knew the variety! 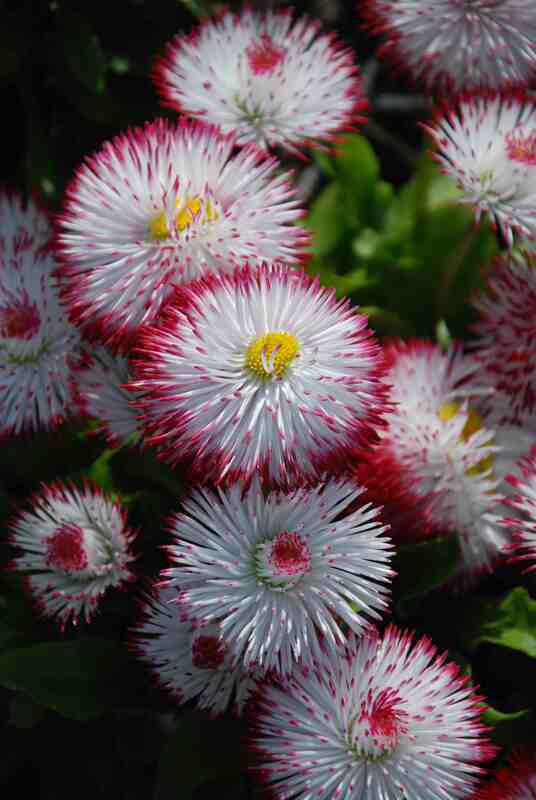 It was Bellis perennis ‘Habanera white with red tips’.